One of the more exciting technologies to come out of the artificial intelligence (AI) space recently is Robotic Process Automation, or RPA. 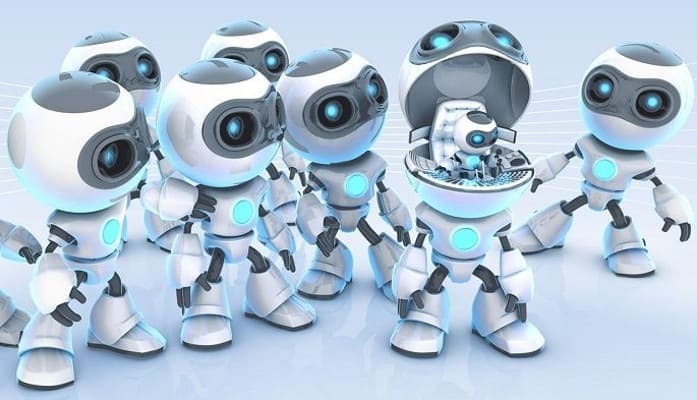 RPA enables IT groups to configure software “robots” to capture data and perform routine tasks, such as automated emails to respond to common requests or streamlining process flows and business operations. Spending on RPA software is projected to reach $1 billion by 2020, according to Gartner, with a compound annual growth rate of 41 percent by that time. And while RPA presents a compelling opportunity for companies to speed operations and find new organizational efficiencies, many still struggle to justify the investment. Here are five steps to consider as you get started with your RPA business case. It’s much easier to get budgetary approval for new technologies when your executive team is on board with your business plan. And now RPA is catching the attention of C-suites everywhere: according to a PWC survey, an overwhelming 98 percent of respondents agree that developing an RPA program is important, very important, or extremely important. Meanwhile, in 2018, over 70 percent of business leaders questioned by the Institute for Robotic Process Automation and Artificial Intelligence Survey said that they planned to invest more in the implementation and development of RPA. Management usually needs to see a clear cost-benefit analysis and an illustration of what kinds of improvements will result from these investments, so be sure to include an ROI discussion in your analysis (which should be fairly easy given the efficiencies RPA brings to the table, as you’ll see below). The financial organization might be the easiest place to start when it comes to implementing RPA. In a recent Deloitte Center for Controllership poll of more than 1,700 finance, accounting and other professionals, 52.8 percent say their organizations plan digital controllership improvements—leveraging process automation, analytics and other technologies for financial and accounting processes—in the year ahead. Using finance and accounting bots to increase efficiency and internal controls was found to be the top priority (almost 35 percent) for such efforts. In another example, RPA can also assist auditors by logging into a client’s secure file transfer protocol (FTP) site to retrieve related audit evidence. The RPA bots calculate whether the total revenue amount from the current and prior year listings is materially different, and generate an alert if the difference exceeds the materiality threshold. Intelligent automation can certainly streamline common processes, but proving cost reduction is the ultimate measure for most managerial teams. Fully automating routine tasks can reduce the cost of transactional processes by 50 to 75 percent while enabling people to focus on value-added tasks, according to The Hackett Group. At NASA, RPA pilots have been undertaken in accounts payable and receivable, IT spending, and human resources, all managed by a shared services center. In the HR portion of the pilot, 86 percent of transactions were completed without human intervention, and are now being rolled out across the organization. Product development is not only one of the most vital core departments of most companies; it’s also one of the hardest to automate. Software products, for example, usually take the expertise of various (human) engineers who apply their knowledge across the product development lifecycle. But according to a Harvard Business Review report, 51 percent of executives surveyed who were familiar with their companies’ use of cognitive technologies say AI (the greater superset that includes RPA) cite benefits that include enhancing the features, functions and performances of their products. When engineers are less burdened with the more tedious development tasks, they are free to put their expertise to work where it really can make a difference. RPA training is readily available for those teams who are ready to dive into detailed intelligent automation projects. RPA certification training gives learners an overview of RPA concepts, RPA tools and workflows used in intelligent automation, and steps for implementing RPA in different segments of the enterprise. And don’t forget that the broader spectrum of AI technologies is having an even bigger impact on company processes and systems. Other upskilling programs address these broader segments, such as AI engineers who are trained to create practical applications using a wide range of intelligent agents; machine learning experts trained in mathematical and heuristic techniques to develop machine learning algorithms; and deep learning specialists who understand how to apply deep neural network research. The RPA market is heating up in a big way, so take the initiative today by building your business case and setting yourself up to reap the benefits of this fascinating new market space.